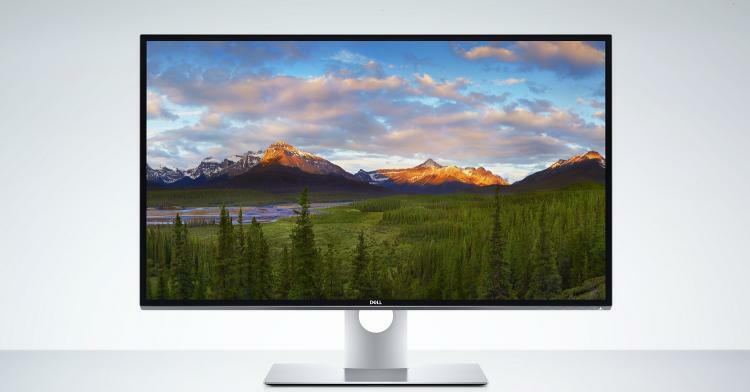 Dell unleash a 32inch 8K Monitor with a dizzying price of $5000. The UltraSharp UP3218K. 32-inch 8K Monitor. As indicated by the price, this newest instalment from Dell is by no means aimed at the general market and it is going to require an extra special and equally expensive PC with the latest components to drive all those pixels. The UP3218K is a remarkable feat of electrical engineering aimed at the extreme end of the professional market, with a whopping resolution of 7680x4320 and a pixel density of 280PPI which is achieved using an IPS panel. With features such as these, this monitor is still somehow capable of delivering a reasonable 60Hz. One of the most sobering facts about this monitor is that there isn’t currently a cable with enough bandwidth capable of sustaining an 8K resolution at 60Hz. To achieve this you will in fact have to connect two separate DisplayPort 1.4 cables to your graphics card! What else does your five grand buy you? The Dell UP3218K comes with a 1,300:1 Contrast Ratio, 6ms Grey to Grey response time and 178° vertical/horizontal viewing angles. The stand is both functional and elegantly crafted with the ability to adjust tilt, swivel, pivot and height, all wrapped up in an aluminium finish. Last but not least, Dell’s very own PremierColor technology delivers an incredible 1.07 billion colours (64 times more colour depth than standard monitors).